Update: This job posting is now closed. Want to report on criminal justice for WPLN? We’ve been selected as a Report for America newsroom and will host a corps member for one year as part of our Emerging Voices program, starting June 2019. 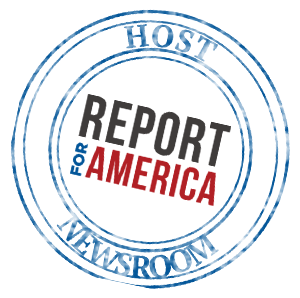 Report for America is a national service program that places talented emerging journalists in local newsrooms to report on under-covered topics and communities. Launched in 2017 and donor-financed, Report for America is creating a new, sustainable system that provides Americans with the information they need to improve their communities, hold powerful institutions accountable, and rebuild trust in the media. Report for America is an initiative of The GroundTruth Project, an award-winning nonprofit media organization with an established track record of training and supporting teams of emerging journalists around the world and in the U.S.
We are looking for candidates who want to cover criminal justice in Middle Tennessee, are excellent writers, know how to report thoroughly, and turn stories on deadline. What we don’t expect is proficiency in radio reporting. We’ll teach you how to use a mic, write for the radio and tell stories through sound. You’ll be joining a mid-sized, award-winning news team that files regularly for national shows and is seen as a key player in the community. Our staff has diverse life experiences and hails from around the country, but we chose to come to — or stay in — Nashville because it’s a city where a single reporter can make an impact. By the end of the program, you’ll have a substantial portfolio of daily spots, sound-rich features and creative web posts to wow your next public radio newsroom.